It feels like every holiday, there are always so many amazing value sets that are released. Whether they are skincare sets, makeup sets, or advent calendars with a mixture of products - they are always a great value, and great gift idea for those who love makeup/skincare in your life, or a great little gift to you, from you. 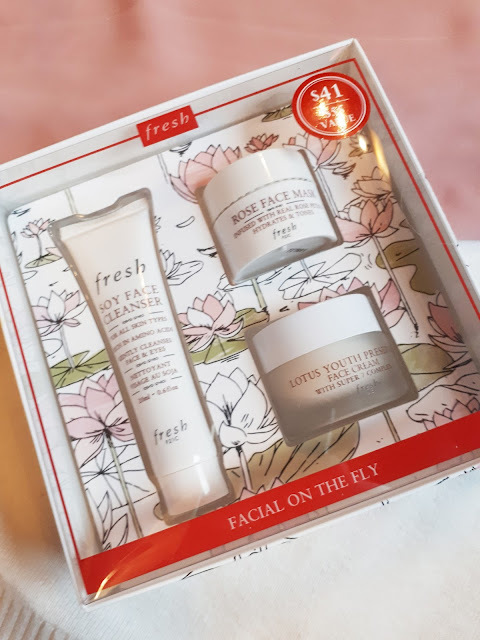 Today I'm sharing some new skincare sets that were released at Sephora from Fresh. Some of the boxes even include the little tag (pictured above) to fill out who it is to, and who it is from. So cute! Cleanse, mask, and moisturize on the go with this must-have skincare gift set decorated with lotus flowers to highlight Fresh's radiance-boosting Lotus Youth Preserve Face Cream. The ritual gently cleanses while soothing and hydrating the skin, making it ideal for everyday use—wherever life takes you. Soy Face Cleanser is a bestselling, do-it-all gel cleanser for all skin types that gently removes makeup—even mascara—and dirt without drying the skin. Rose Face Mask is a cult-favorite hydrating gel mask infused with real rose petals and soothing rosewater that tones the complexion. Lotus Youth Preserve Face Cream with Super 7 Complex is a lightweight daily moisturizer that provides up to 24 hours of significant moisture and diminishes visible signs of aging while supporting a radiant appearance and prepping skin for makeup. Get or give a holiday party-ready glow with this skincare set that spotlights Sugar Face Polish along with Fresh's universal cleanser and illuminator. It’s perfect for those days you want to highlight your natural beauty. You can also color the sugar cane field design with the pencils found inside. Customize before you give, or gift and let them enjoy coloring it themselves. Sugar Face Polish is a gentle exfoliating mask made with real brown sugar and vitamin C-packed strawberry seeds that soften and smooth for a more radiant complexion. 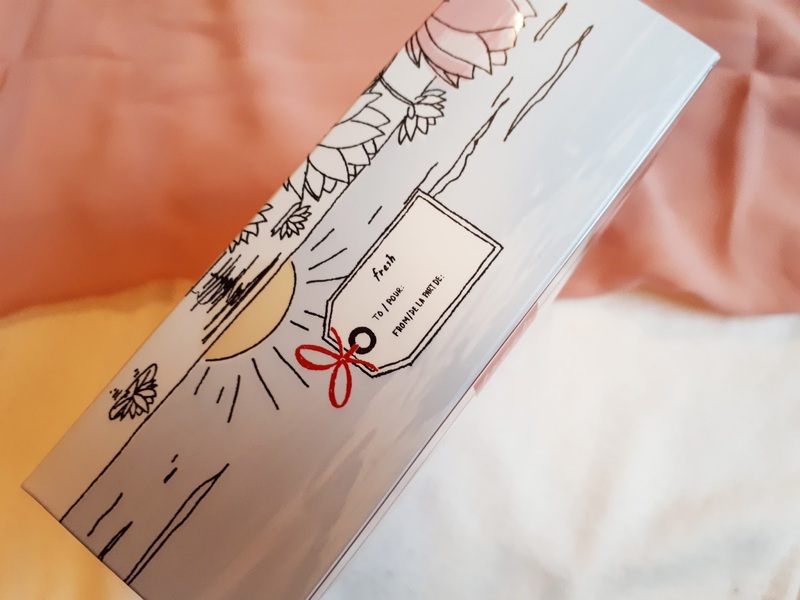 FreshFace Instant Glow Luminizer is a lightweight moisturizing luminizer that imparts a natural-looking starlit glow to all skin tones and can be worn alone, over makeup, or as a highlighter. The Fresh Soy Face Cleanser is probably now my favourite gel cleanser. It's so gentle on the skin. I never feel dry after using it, and it has never irritated my skin at all. The Rose Face Mask also soothes my skin and makes it feel so hydrated. I have yet to try the Sugar Face Polish, but I love gentle exfoliating masks, so I'm sure this one won't be harsh at all. These are only available at Sephora for a limited time, so pick one up for yourself, or as a gift, before the holidays end - or they sell out!